(Bloomberg) – South African Mineral Resources Minister Gwede Mantashe said he’s open to discussions with mining companies about a crucial black-ownership principle, but they might not be pleased with what he has to say. The Chamber of Mines lobby group, which represents most producers, last week won court backing for its argument that companies could count previous sales to black investors to reach the black-ownership requirements, even if those investors later sold their shares to whites or foreigners. The so-called “once empowered, always empowered” principle was a key point of dispute between the industry and Mantashe’s predecessor, Mosebenzi Zwane. The ruling by the High Court in Pretoria applied to the first two versions of the Mining Charter, a set of rules aimed at distributing the wealth of the industry more widely. 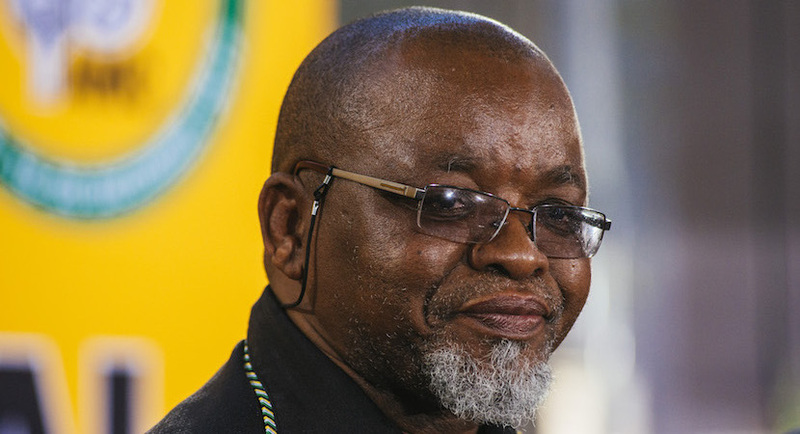 The industry is currently negotiating with Mantashe on a new draft, after a third version published by Zwane last year was suspended amid a court challenge brought by the chamber. The court’s decision was positive for companies including Sibanye Gold Ltd. and Impala Platinum Holdings Ltd., as their earlier black-ownership structures had been unwound to varying degrees, analysts at Morgan Stanley said last week. Mantashe’s department won’t appeal the ruling on past ownership deals and will focus on talks with the industry to come up with a solution that suits everyone, the minister said on Twitter. While that decision is positive for the industry, Mantashe’s comments about assessing compliance on merit sends mixed signals, said Peter Leon, the Africa co-chair at law firm Herbert Smith Freehills LLP.